Rawabi is the first planned city in the West Bank built by and for Palestinians. The $US1.4 billion project is the brainchild of Bashar al-Masri, a Palestinian-American billionaire. Masri believes that the Palestinian territories are a “golden opportunity” for Palestinians and the international community to build a model, economically equal democracy in the Middle East. Masri is hoping that Rawabi can be the first step. 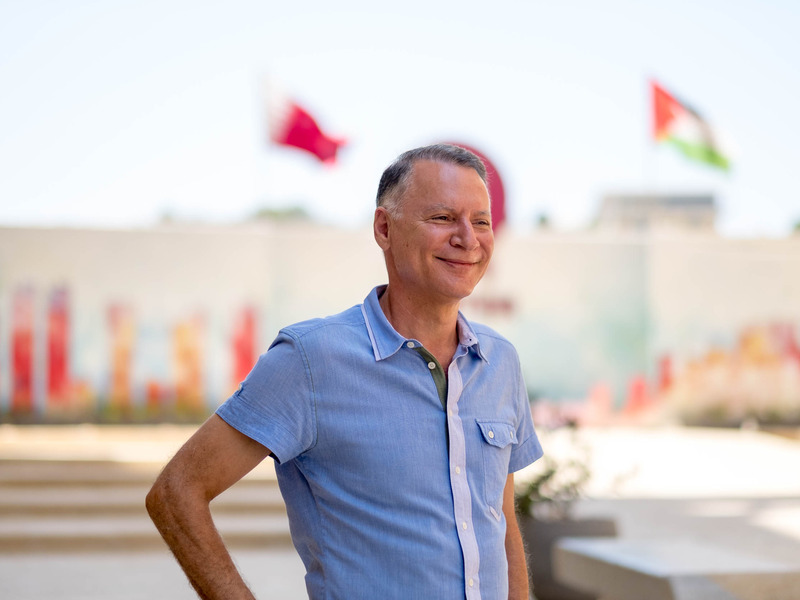 He is trying to create 3,000-5,000 permanent high-paying jobs in the city and hoping it becomes a secular and culturally vibrant city in the West Bank. Rawabi is the first planned city in the West Bank built by and for Palestinians. With a price tag of $US1.4 billion, it is the largest private sector project in Palestinian history. Around 4,000 of a planned 40,000 people currently live in the shiny new city. While a true, independent Palestinian state does not yet exist, Masri believes that Rawabi and other projects can pave the way by forming an “economic backbone” for the state, providing high-quality jobs, and lifting as many Palestinians into the middle class as possible. “That’s what I’m motivated by: improving the economy, upgrading the standards of living, preventing the brain drain, and keeping these young people here and giving them hope,” Masri said. “One of the biggest problems before you can have a free nation is to ensure that your house is in order. To ensure that our house is in order, we need the bulk of our people to be middle income people,” he added. Currently, the West Bank has an 18% unemployment rate and a moribund economy. In Gaza, the unemployment rate is as high as 54%. Since construction began, Rawabi has created about 10,000 related jobs per year. But Masri’s goal is to draw major tech corporations to create 3,000-5,000 high-paying, permanent jobs. That goal is still a long way off. Today, most of the businesses operating in Rawabi are owned by or invested in by Masri. The main company is Asal Technologies, a software development company that outsources developers. It includes Microsoft, Intel, and Israeli tech giant Mellanox among its clients and has hired a couple hundred developers in Rawabi. There are other aspects of Rawabi that point to Masri’s goal of a model. Rawabi has set up homeowners’ associations for each neighbourhood – the first of their kind in the West Bank – with the goal of getting residents to be politically engaged. A city council, which included members of the homeowners associations, was elected several months ago. Elections for a mayor and other positions are due to follow. While most states in the Middle East are monarchies or run by strongmen and experience vast inequality, in Masri’s vision, Palestine could be a truly unique: an economically equal Arab democracy.